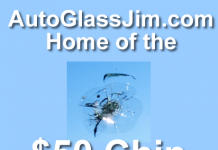 How does a windshield chip repair work? First, a small drill is used to open up the crack so it can be repaired. 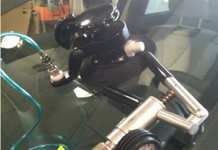 Once it’s open, a repair fixture is attached to the windshield with suction cups and air is removed from the crack. Then resin is added and the fixture is pressurized to allow the resin to enter the crack. A UV light or sunlight then cures the resin to harden it and keep the crack from spreading. 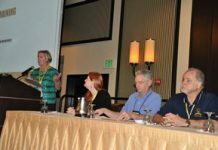 How long does a windshield chip repair take? Depending on the type of crack, a repair can take a few minutes to a half and hour. Is there anything else that I need to do after the repair? No. Once the repair is completed the windshield is back to normal you are able to drive the car right away. How long does a chip repair last? The windshield chip repair is a permanent fix and the damage won’t crack further. The repair will last forever without any additional care. Does the windshield chip disappear? You will still see the initial impact point of the rock. In most cases the dark shadow around the chip will completely disappear. Here is an image of what you can expect for most repairs. How long have you been doing repairs? I’ve been an auto glass technician for over 30 years and started doing windshield chip repairs around 1992. I use an AEGIS® chip repair system that is considered one of the best in the business. I’ve used Jim’s service to have a small crack in my Avalon filled. He did a great job!